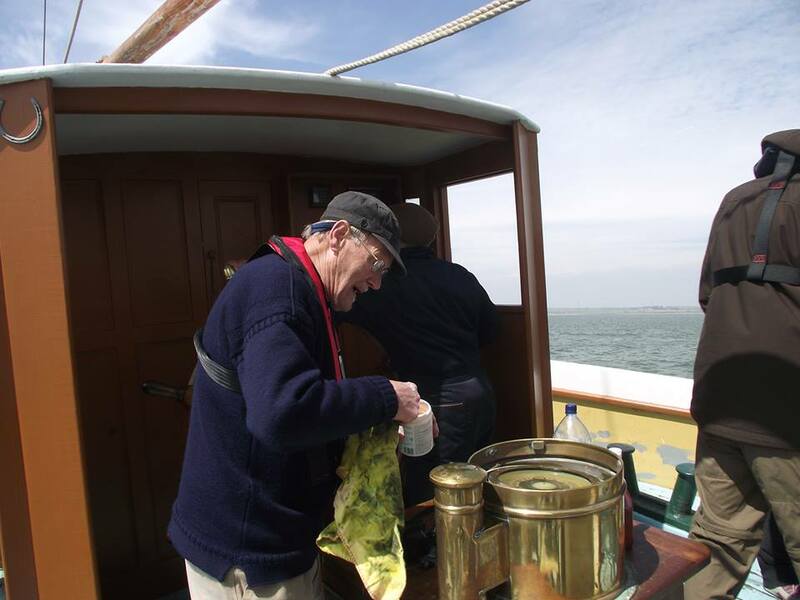 Roger Newlyn sends us news that Pudge left Faversham last weekend, Sunday the 1st of April, following completion of the shipwright’s work, and she arrived back in Maldon on the evening flood tide. Work has now commenced on fitting out the restored stern section down below. Her gear was being lowered this weekend for routine maintenance, ready for the forthcoming season. Meanwhile Good Friday saw Centaur rigging out alongside Pudge, preparing for her shakedown sail.